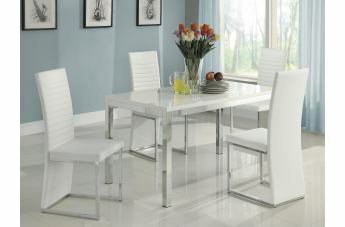 The ultra contemporary design of the Clarice Collection by Homelegance will be at home in your modern dining room. 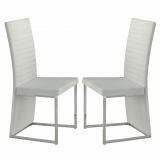 Channel stitched, white PVC chairs tuck beneath the glossy white table top. 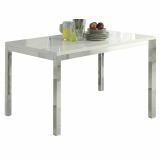 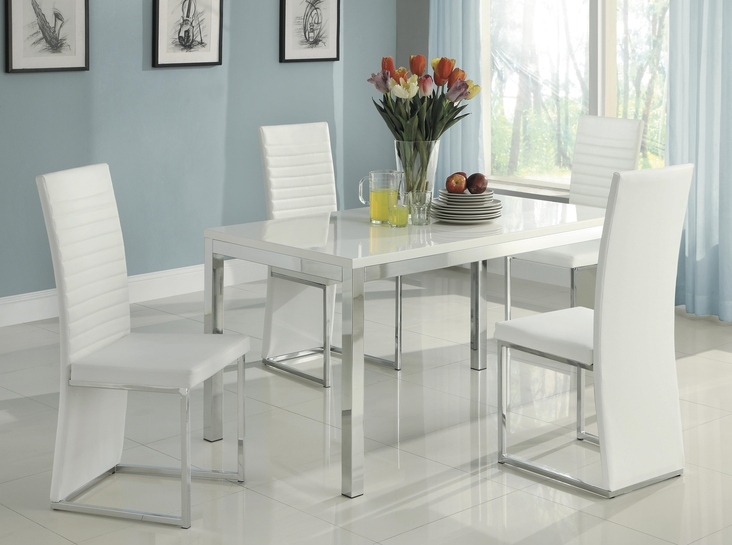 Both chairs and table are supported by sleek chrome framing that completes the look of this stylish dining group.